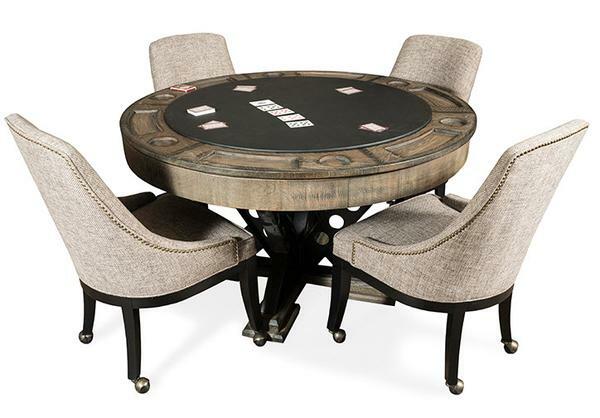 The Vienna round poker table is as versatile as the card game played on it. The Vienna is a reversible poker table that easily flips over to change from a card table to a dining or end table. 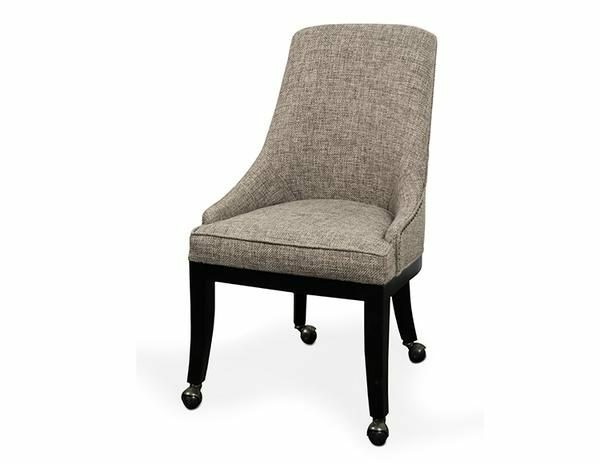 The beautiful Vienna grey cushion chair has a large, comfortable wrap around the seat and the back. 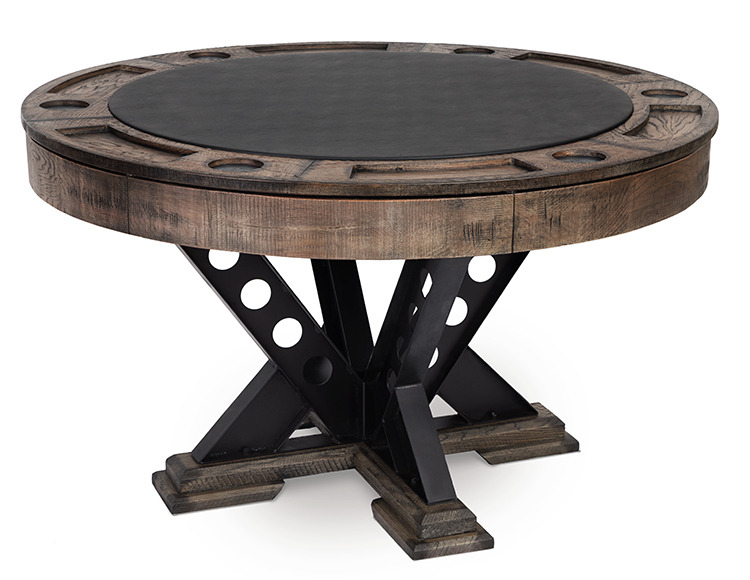 The Vienna chair is a game chair with caster wheels that have been metal-covered. In addition to the wheels, this chair also has grommet embellishments. *Due to the natural variations in wood and the hand applied, multi-step finishing process the actual finish of this table may vary from the table pictured.